Welcome to Volunteers of America. 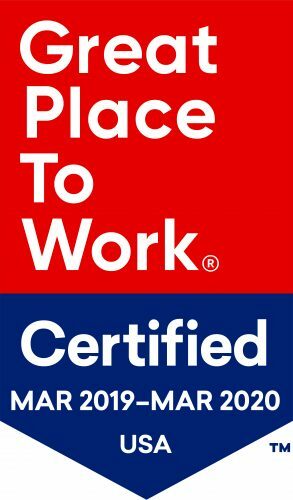 Volunteers of America National Services is proud to acknowledge our certification as a Great Place to Work®. Volunteers of America National Services earned this highly respected designation based on feedback provided by its team members in anonymous surveys. This certification reflects employee pride in the organization’s community impact, belief that their work makes a difference, and feeling their work has special meaning. Work where you feel at home. The warm and caring atmosphere of our communities is created by nurses, environmental specialists, certified nursing assistants and other team members who love to help older adults feel healthy and at home. At Volunteers of America, we’re also dedicated to creating thoughtful, caring and flexible work environments for our team members. When you begin a career with us, expect the support you need to succeed in your role, respect for your individuality and beliefs, and opportunities for personal and professional development. Our residents tell us they feel confident welcoming our team members into their homes, and how they soon feel like family. This sense of hospitality is also cultivated among our staff and leadership, and is part of our mission. We treat each other, and those in our care, as we would members of our family. Enjoy the benefits of strong roots and steady growth. With more than 20 living and care communities across the nation – and a new independent living project under construction in Florida – Volunteers of America is respected among industry peers for serving the needs of older adults while thriving in a shifting health care environment. Residents and their families trust us because of the reputation we’ve earned for stability and reliability. When you join our team of exceptional professionals, we’ll trust you to do your best each day, and to show compassion and caring for our residents and your fellow team members. In return, you’ll be rewarded with a generous array of industry-leading benefits and workplace considerations.